So even though we can’t answer that question, we are able to answer the most important question: “What should I wear for Halloween that is super easy?” We have the perfect answer, and it includes our black and white striped friends. 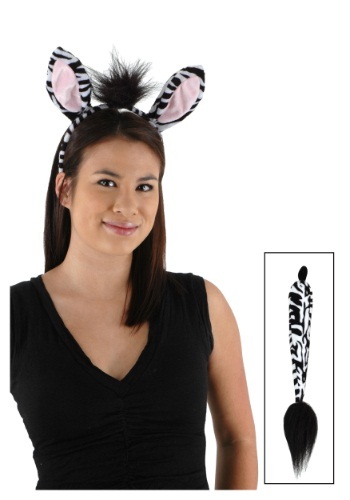 Put on this Zebra Kit, and be immediately transformed into your favorite African animal! Put on this pair of ears and tail, and boom, you have a fashionable and effortless costume! Now, although you could go galloping across the open plains with all your zebra friends while wearing this tail and ears set, we think it's a lot better use of this accessory to turn a party into a wild safari. Besides, how many zebra friends do you have living in the Savannah.